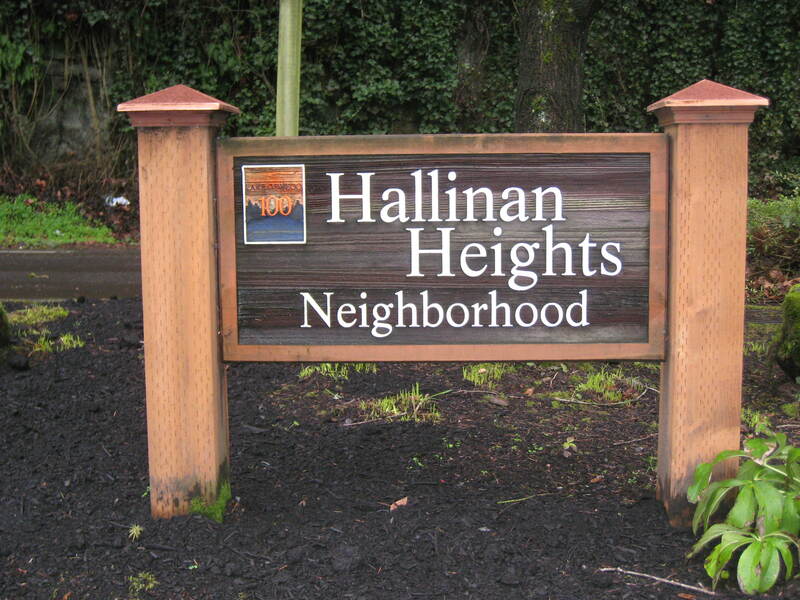 Lake Oswego has 25 individual neighborhoods and this week we are going to feature Hallinan Heights. Both Linda and I love this neighborhood, there is just something about it. I think it’s unique boundaries are part of why it is so great. It is clearly defined by the Willamette River to the East, Oswego Creek and McVey to the North, Cornell Rd to the West, and Upper Cherry Rd to the South. It’s not a large neighorhood, but within it is a wonderful Elementary School and a very nice Park. It has a real feeling of community where people walk their dogs and picnic. My kids did not live within the Hallinan Elementary School attendance area, but the play ground at Hallinan Elementary was hands down their favorite. We would drive across town to play on it. It’s a BIG playground with a great variety of equipment. As my kids got older, I learned to love it because it is adjacent to the playing field which has a great walking trail around it. So my kids could be playing and I could be taking a nice walk within sight of them. 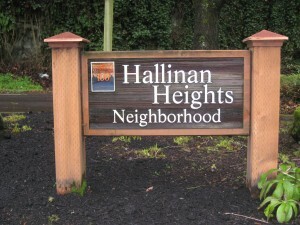 The real estate in Hallinan Heights includes one very nice condominium complex on the Willamette River, Oswego Terraces. Built in the 1950’s, these mid-century buildings are solid and sleek. There are currently 3 condos for sale in the mid $250,000’s. While none of the waterfront units are currently for sale, when they do come along they boast some of the finest river views in the entire metro area. The complex is uniquely situated on a curve in the river that looks directly North to downtown Portland. Most of the single family homes were built in the 1960’s and 1970’s. 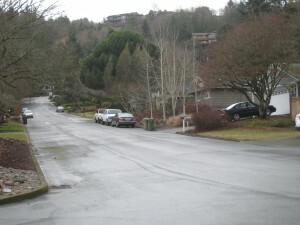 The wide streets have well landscaped and tidy yards. There are currently 8 homes for sale. The least expensive is 2442 square feet, all on one level, and is listed for $399,900. The most expensive is 3700 square feet of new construction with river and mountain views for $1,225,000. 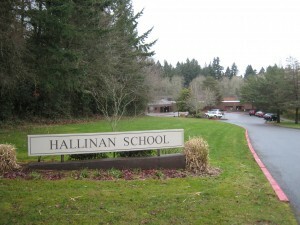 My final boast for Hallinan Heights is that it is close to downtown Lake Oswego. Whether you want quick access to great restaurants, or you want to walk along the river at George Rogers Park, you are right there. I would estimate that you could walk to the Farmer’s Market at Millenium Plaza Park within about 20-30 minutes. Nice! Do not hesitate to contact Linda or myself if you would like more information.